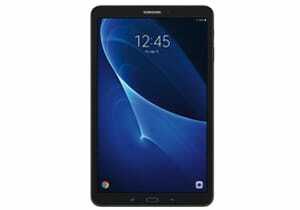 10 inch tablets can be very useful, and getting one of the best 10 inch tablets will get you far. It can be tricky to find a 10 inch tablet that will suit all your needs, but sticking to some of the most known and most trusted tablets is a good idea to start with. Great thing is that 10 inch tablets are right in the middle of a sizing chart, and if you don’t want to get a tablet that’s too small or too big, 10 inch tablet is a perfect choice. 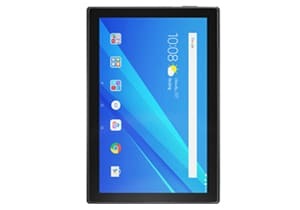 Luckily for you, in this post, we have some of the best 10 inch tablets on the market you can get for a very reasonable price. We’ve done our research, and now it’s up to you to choose the best one for yourself. Down below, you can find some of the top tablets you can get in 2019 and yet won’t have to worry if they’ll last at least a few years from now. Jan 14th, 2019 by Dario Lemut: If you’ve decided to get yourself a 10″ tablet, you’ve made a great decision. However, choosing one tablet out of so many available on the market can be tough. We chose 5 tablets out of approximately 30 tablets and have reviewed them for you, so your decision is as simple as possible. 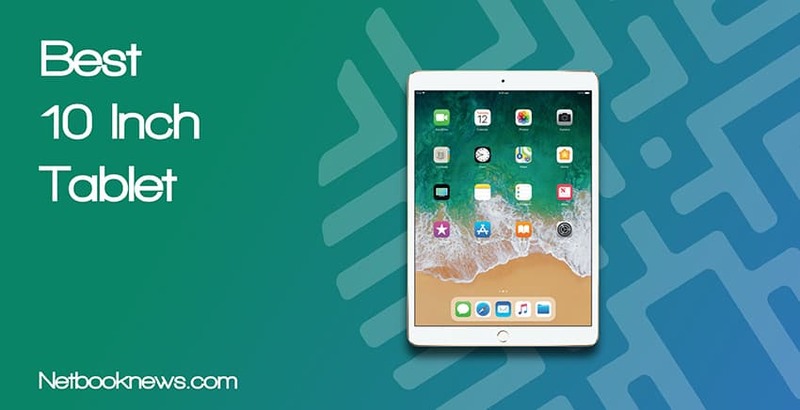 Apple iPad Pro is a very solid, powerful, and reliable tablet that comes with an amazing that is large enough to suit you for gaming and even doing some work outside the office or school. Strong battery life makes it very portable and travel-friendly. 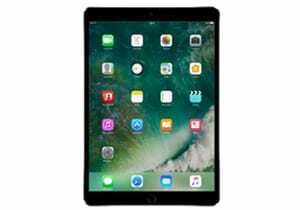 Apple iPad Pro features a 10.5 inch Retina display that features a resolution of 2224 x 1668 pixels. It’s offering a real sharp and precise view no matter what you do. 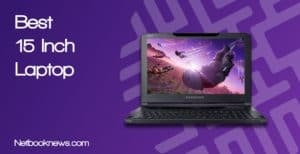 It’s perfect for doing work that requires precision, gaming which requires the most vivid display to feel you’re inside the game and watching videos & movies where you require the best quality to well with 4K videos. Retina display comes with Wide Color and True Tone Display features which bring millions of colors inside each pixel. Such a combination left us with a breath-taking view. Use it wisely and you’ll unleash the true potential of iPad Pro. This tablet is powered with one of the strongest processors we can find in a tablet which is A10X Fusion chip that features 64-bit architecture which is embedded M10 coprocessor. 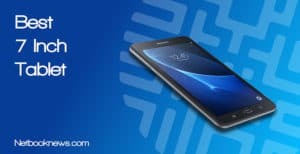 Combine that with a 64 GB of memory and storage, and you get an amazing tablet that is very powerful yet very portable. Another part that is crucial for its success is the battery that holds a long charge, giving you about 10 hours of regular use on a single charge. Charging is very quick and you won’t have to stay put for long, yet you’d get a chance to recharge your battery and keep moving in a short time. iPad Pro is partly successful because of Apple’s iOS operating system that makes sure to run the tablet smoothly and give the users the best and the simplest experience during use. 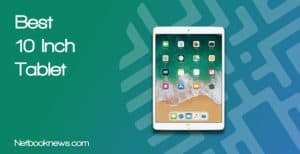 iOS is constantly upgraded and has everything you need from the useful gestures for easier multitasking and better productivity to an AppStore full of apps that can transform this iPad Pro to anything you need. It’s a tablet that’s very powerful yet very versatile which makes it even more attractive when you think of its portability all together. If you’re looking for a tablet that is very versatile other than portable and powerful, Samsung Galaxy Tab A is a great choice. It comes with a great display that is suitable for gaming or even streaming videos and movies. Samsung Galaxy Tab A is equipped with a very powerful processor that makes magic Samsung users love. Octa-core processor offers the right combination of power and efficiency when working through even the most demanding tasks. With such processor, you can do anything you’ve ever wanted, including multitasking, having a smooth response and stunning graphics. It’s a processor that unleashes everything, along with 2 GB of RAM, it’s a real little beast that runs this tablet. In combination with a WUXGA display, it suits different types of people and needs. Samsung went a step further to include not only one, yet two HD cameras into this thin and lightweight tablet. The front camera is a 2MP camera that is perfect for face-to-face video calls, and selfies, vlogs, when combined with ultra-fast WiFi connection – it’s the best tool for video sharing. While the rear camera is an 8MP camera that is ready to make some beautiful photos and much more. It has a lot of potentials and it’s up to your creativity to use it to its full potential. The standard memory that Samsung Galaxy Tab A features are 16 GB of storage. Now, that might not seem like a lot, but it’s enough to get you started, although, for us, it quickly filled up. However, what we really like about this tablet is the microSD slot to expand your memory. Using a simple and inexpensive microSD card, you can expand this tablet’s memory up to 256 GB. What’s even better is that you get a bonus 32 GB microSD card with a purchase of this tablet. 32 GB is more than enough for an average or new tablet users, but you can always get your own microSD card that can be up to 256 GB large. It’s hard to find a 10″ Windows tablet that crosses all T’s and I’s, but Fusion5 is a very decent tablet that comes with really surprising features. It’s powerful enough to run most commonly used software, has a lot of storage and even features a USB 3.0 port for additional peripherals. Fusion5 is powered with some of the most powerful configuration in order to run a Windows operating system flawlessly. 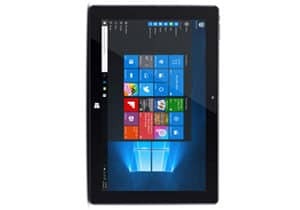 Therefore, this tablet features an upgraded Intel processor that has quad cores and is equipped with a powerful GPU, which in combination offers a great Windows experience on a portable device. Along with powerful CPU and GPU, there is a 4 GB of RAM and 64 GB of storage. We’ve realized that this tablet is cheaper yet stronger than some of the cheapest laptops. It’s surprising to see the power such a thin, light, and stylish tablet can offer. Combined it with strong battery life, you get one of the most powerful & versatile 10 inch tablets. The graphics display processor in this tablet is an Intel HD, 7th generation card chip that works really well with Windows and a 10″ display in order to provide the optimal viewing. This makes Fusion5 tablet perfect for watching movies, TV shows, YouTube, and even playing games, among other entertainment activities. However, even though the graphics and view are amazing, we feel unfortunate to let you know that you shouldn’t expect a lot from the audio quality since it’s not quite that great. Even though Fusion5 tablet looks ordinary, it’s a pretty well-built tablet that features minimalistic details and an attractive look combined with a matte black color. It’s very robust and even though it’s minimalistic, it’s very modern and it looks great no matter where you put it. On the specific side, the design of the Fusion5 tablet is very light and slim which provides users with the ultimate user experience – just as Fusion5 intended it to be. 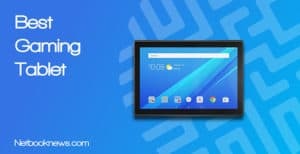 Lenovo Tab 4 is a decent laptop that is the best 10″ Android tablet you can get on the market in 2019. It’s a great tablet for multimedia and entertainment that can be even transformed into a tablet for kids. The battery life of 20 hours is one of the strongest things you’ll definitely love. Lenovo Tab 4 features a brilliant display that offers an HD resolution of 1280 x 800 pixels. Combine it with a dual stereo Dolby Atmos audio speakers that are wisely placed at the front to face the users, they make watching movies, TV shows, YouTube videos, or even playing games a positive & satisfying experience. If you’re looking for a tablet to watch Netflix on a go, Lenovo Tab 4 is definitely the right choice. Its lightweight and thin design offer a really portable and travel-friendly device that will provide endless hours of entertainment and watching no matter the time or location. What we really liked about the display is the matte anti-glossy coating that protects the screen from unwanted reflections during the use. This tablet is a perfect tablet for entertainment, and knowing it’s also a perfect tablet for families and kids makes it even better. Tab 4’s versatility is really great since it isn’t only about design, yet about the features that Lenovo added to make this laptop suitable for everyone, including the youngest ones. Lenovo even has their own pack to transform this tablet for kids, which includes the protective bumper case. There’s even a feature that allows tablet owners to create multiple accounts so every member of the family has their own account. Also, there are a bunch of apps suitable for kids, and they aren’t only made for entertainment but also educational purpose. To never experience a slow or glitchy tablet, Lenovo took care of it by constructing it using only the best configuration they could possibly fit inside. This tablet features quad-core Snapdragon processor that works up to 1.4 GHz, along with 2 GB of RAM, and a battery that can last up to amazing 20 hours. It’s a configuration that will keep you going through day to day activities, and it will handle the most demanding tasks. 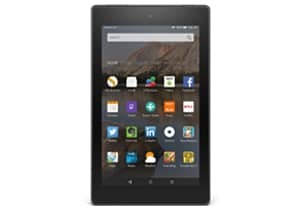 If you’re on a budget yet you’re looking to find a decent 10″ tablet – it can’t get better than Amazon Fire HD 10. It’s a tablet that comes with an incredible display for such price and is equipped with powerful components, in order to provide the best user experience with help of Amazon services. 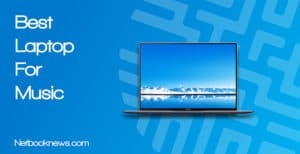 Considering the price, 10.1″ full HD 1080p display is an incredible display that is paired with an amazing configuration such as a quad-core processor that can be boosted up to 1.8 GHz, and 2 GB of RAM in combination with 32 GB of internal storage. Along with all of that, Amazon has done really well adding a slim yet powerful battery that can last up to 10 hours on a single charge. How cool is it that you can control anything on your tablet hands-free, thanks to the virtual assistant? Alexa is the innovative virtual assistant created by Amazon that helps users from simple things such as pausing the video or playing music to calling family & friends, searching for answers, creating a shopping list or even doing the shopping for you. Users can also ask Alexa anything, from questions such as “How’s the weather?” to more complicated questions that need to be solved (including math inquiries). The greatest thing about this tablet (other than price) is that it’s created by Amazon, meaning that every Amazon service is integrated well with the Fire HD 10 tablet. Users can enjoy millions of videos, movies, songs, books, apps, and much more – thanks to Amazon services. If you’re a Prime member, you can get unlimited access to thousands of books, magazines, songs, movies, and anything else that would keep you entertained for many hours to come. 10 inch tablets aren’t very small but aren’t very big, and they’re right in the middle of a size chart. Depending on their form and design, you’ll easily tell whether you’re travel-friendly and very portable, or they’re more for indoor use. The thinner and less weight tablet has, the more travel-friendly it is. However, that sometimes can mean the durability won’t be as good as usual. Therefore, you should find the golden middle, meaning the tablet is portable enough for your needs, yet is durable and reliable. Such a combination is the most ideal, and knowing your needs first will make your search a lot easier. When you’re getting a new tablet, there are quite a few things you expect it to do. One of them is definitely a solid, smooth, and fast performance. 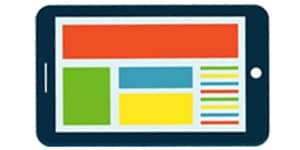 Keeping an eye on the specifications of each tablet will help you understand what actually can a tablet do and what it can’t do. With the latest technology, it’s a real surprise to see how powerful configuration we can get in a tablet that is very compact, thin, and lightweight. It’s almost like a computer you can take anywhere with you, without needing a special backpack or bag for it. Processor, RAM, and a graphics card all have an impact on the performance, and if you’re wondering how well is a tablet performing – you should start by checking out the specifications. They’ll give you a clear idea on the tablet’s performance. Battery life is very important when it comes to tablets. It’s even more important than when you’re choosing a new laptop. The reason for that is the portability and compactness of tablet for a travel-friendly lifestyle that it aims for. Get a tablet with great battery life and you will never have to slow down. Even though tablets come with very compact and small batteries, they’re even more powerful than they have ever been in the past. With the technology advancement, today, we have an advantage that combines both great battery life span and compact configuration that helps us get the most out of a tablet. The most we have ever been able to get from such a portable device. Getting a great battery life should be as important as configuration. Storage sometime can limit you from having as many things on your tablet as you’d wish to have. However, getting a tablet with a great amount of storage will solve all your problems and leave you with no worries. Getting a tablet with a great amount of storage isn’t always possible, but instead, you should always aim for a tablet that has expandable storage through microSD card. Most of the tablets nowadays come with such additional feature, and it’s definitely a life-saver to have. You won’t only have a great amount of storage and no worries on your mind, but you could also take all your stored files on a microSD and put it into another tablet, laptop, or mobile phone which is a useful & versatile option to have. Every tablet is different, and even though these are all 10-inch tablets, they come with different features, and that’s what’s so special about tablets. We recommend getting a tablet that can handle all your needs, and then aim for some additional features that will make your life easier. The features tablets come with are endless and you get to choose between features that will shape the use of your tablet in different ways. Gaming tablets will probably come with a better screen and audio speakers, while tablets made for entertainment will most of the time come with a lot of pre-installed apps that are ready to use. Other than that, there are features such as additional accessories that depend on a brand or a seller, but it’s useful to get as many freebies with your tablet, if possible.